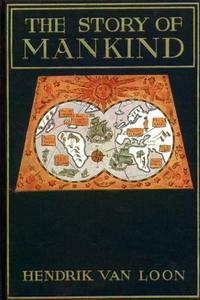 The Story of Mankind (1921) was the first book to win the Newbery Medal for its contribution to children's literature in 1922. It is a summary of western civilization especially for children (though adults will also appreciate the history refresher; a few paragraphs summarize each major event). It is dedicated to his children, Hansje and Willem. We feature it in our collection of Books for Young Readers. Return to the Henrik Willem van Loon library.